It is in no way cheap. The Tilta gear looks like Military grade! LOL. If I had the cash I could see investing in their stuff. Looks like it would be able to take a pounding and last for a long time. 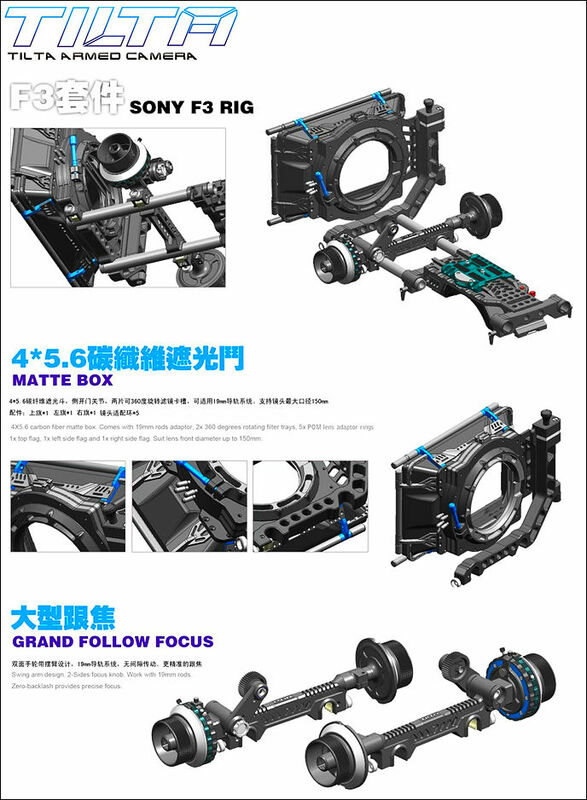 Full be fun to see such rig with NEX7 or GF3 with pancake on this. I might pick this up instead of the lanparte for my second rig. VK....any thoughts as to where I can get one? 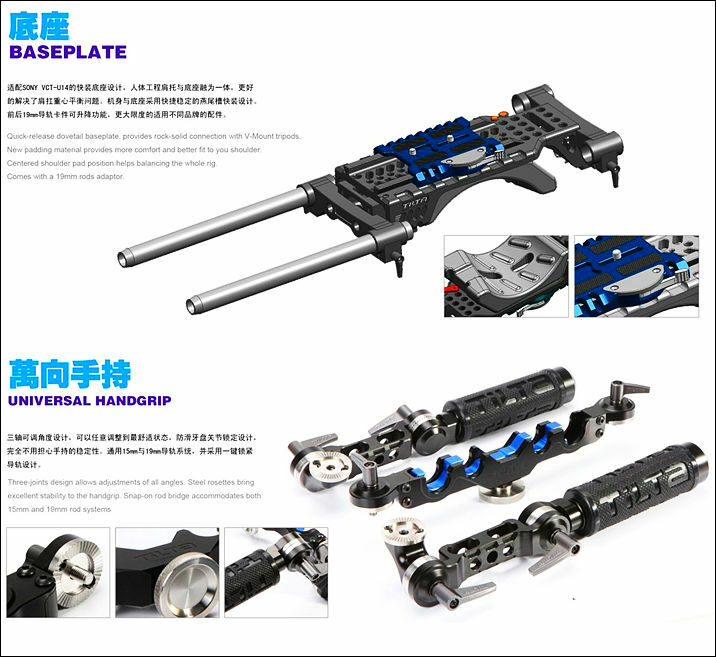 There is one seller on ebay that sells tilta, but looks exactly like the lanparte rig. I wonder if they are the same manufacturer. >There is one seller on ebay that sells tilta, but looks exactly like the lanparte rig. I wonder if they are the same manufacturer. And it is not the same, but very similar. This catalog is about new Tilta stuff. Yes, these look rock solid - totally Decepticon looking :-) Yes you're right not cheap, I think their previous gen FF went for about 300US. Looks very macho. Do they do it in pink? only in leopard stripes pattern I'm afraid, but you get a free outfit to match though. 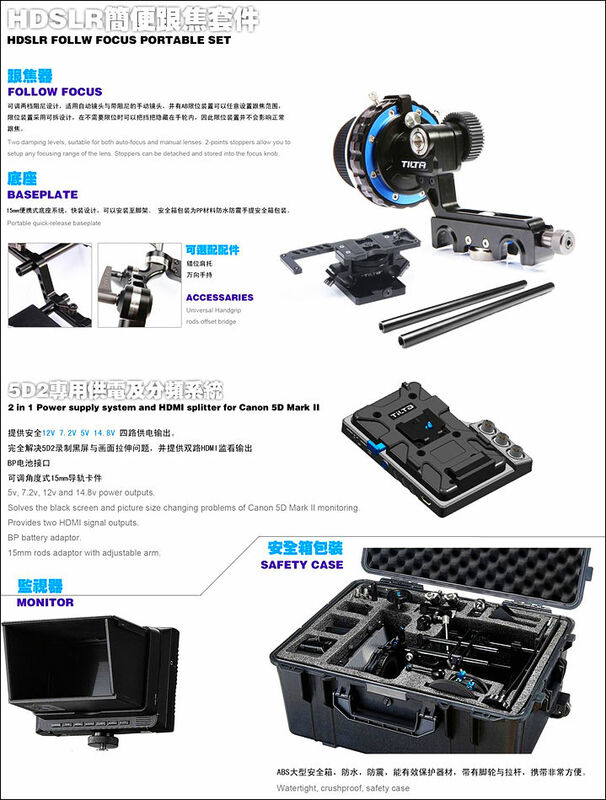 As soon will be available handle and matte box, I order, it seems a very decent quality. @stefanos That will go with my sparkly off-the-shoulder number. Seriously, that thing looks like it should have guns attached to it!! Any chance of a special Personal-View Deal on this kit? 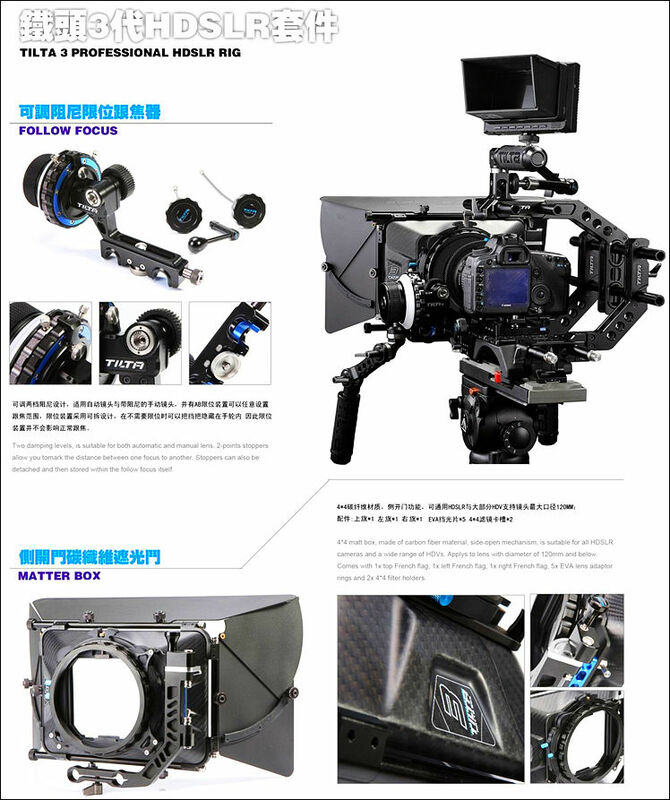 I want to see the studio mode follow focus and the shoulder rig. Looks like good stuff. Yeah, I´m also in for several items. Looks even more tactical than the RED stuff. Looks great Quality compared to the rest! I really want some of that Tilta gear. Any chance that we have some group buy or special deals? I would be in at least for that v-mount shoulder base, the cage (but with 2 upper arms), and the hand grips. I would like to buy the whole kit...without the monitor! I am hoping to have Tilta deal. But it requires time. That's going to be a very heavy rig. I forgot where I heard it from, but it's supposed to weigh around 20 lbs! Do you remember what a full rigged Digibeta 900 was? And Vitaly, I really look forward to that Tilta deal. Thanks for trying to come up with something for us. 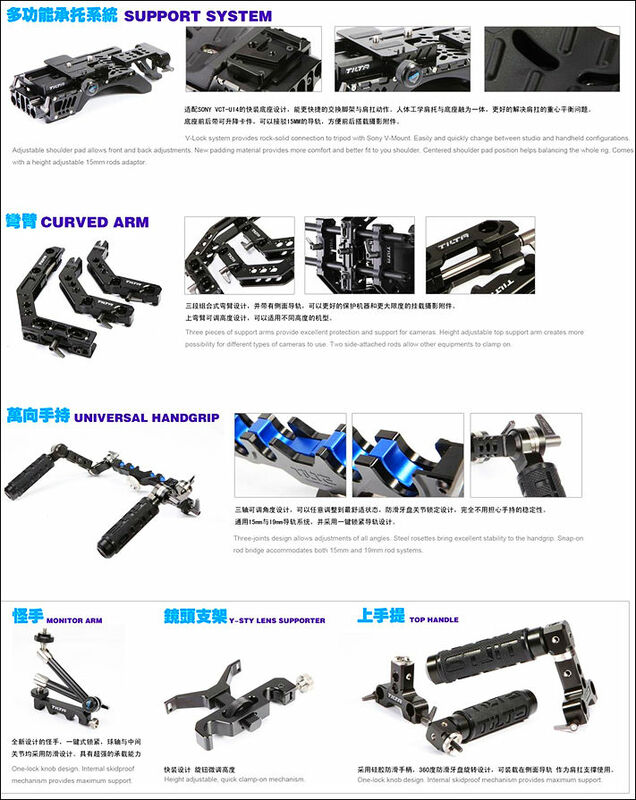 due to being very unsatisfied with the lanparte handgrip (rest of the rig is superb though), does anybody know where to order single items from tilta?